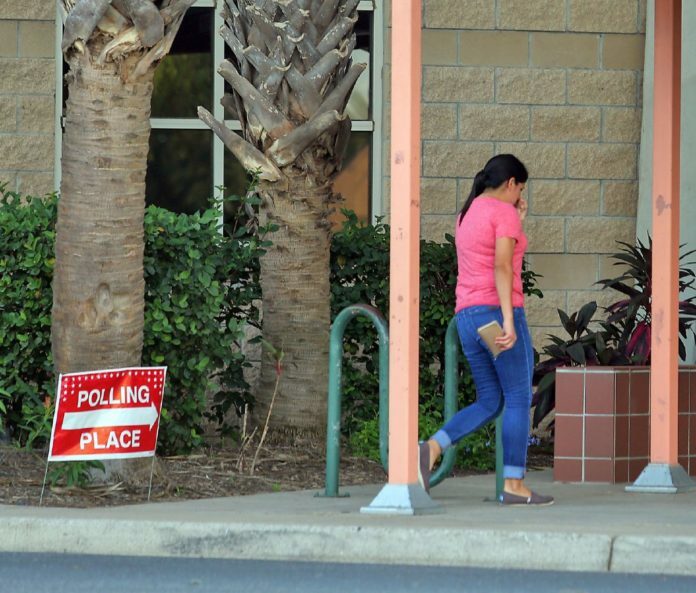 Many Rio Grande Valley residents participated in National Voter Registration Day activities last week, including students who will be voting for the first time. We applaud their efforts, and hope they set an example which all potential voters will follow. Potential voters are most U.S. citizens who are at least 18 years old on Election Day, which is Nov. 6. Anyone who is eligible but hasn’t registered to vote has until Oct. 9 to do so, and it’s as easy as filling out a postcard that requests some basic personal information. The postcards are available at most government buildings, including the library and post office. Once registered, it’s important to vote. State officials in recent years have imposed hurdles such as shortened early voting periods, closed precincts and identification card mandates with few options for acceptable ID, but the process still is simple. In addition to Election Day, people can vote early between Oct. 22 and Nov. 2, or by mail. In fact, the process is so simple that it might be easier to cast a ballot than to find a valid reason not to. Unfortunately, too many people don’t bother to participate in our elections. In November 2016, barely 61.4 percent of eligible U.S. voters actually voted. Fortunately, Valley voter turnout is higher than the national average; with 78 percent in Cameron County and 90 percent in Hidalgo County. When the president is not on the ballot, turnout is even lower; nationwide, only 36.6 percent of eligible Americans voted in the 2014 midterm election. Local turnout was 32 percent in Cameron County and 42.9 percent in Hidalgo County. That difference in turnout shouldn’t exist. Midterm elections are equally important, since most legislation that directly affects our lives is written in Congress, state legislations and city and county commissions, and many of those positions are on the midterm ballot. Positions on the ballot next month include our governor, a U.S. Senate seat and all members of the House of Representatives in both the state legislature and U.S. Congress. And by now people should know better than to believe those who say that one vote doesn’t count. Two years after Donald Trump’s election as president, people continue to argue about the vote. For that matter, some people are still debating the Bush-Gore presidential election 18 years after the fact. In addition, it isn’t uncommon to see an election decided by so few votes that the numbers are challenged, and canvassing or a recount has changed the ultimate victor in many races. Of course, voting isn’t just a matter of going to a polling site and blindly picking a name; people are expected to learn what they can about the candidates, and vote for the person who seems most honest and who seems to share the voter’s opinions and beliefs about the position he or she seeks. But the results are worth the effort. More informed votes should bring us better officials, and reduce the number of Valley officials who find themselves facing allegations of malfeasance or criminal behavior. So we invite those who could vote but haven’t registered to do so this week, and for all voters to study up on the candidates. And, most importantly, fill out that ballot when the time comes. In a very real sense, our future depends on it.